This section explains the steps to add DataMatrix barcodes in a Microsoft Access report using Morovia DataMatrix ActiveX Control. The DataMatrix ActiveX control must be installed and registered on the computer. Open a report in design view and choose Insert → ActiveX Control.... If you are using Access 2007 or 2010, switch to Design view, and click on Insert ActiveX Control button. From the list of controls, select Morovia DataMatrixControl. 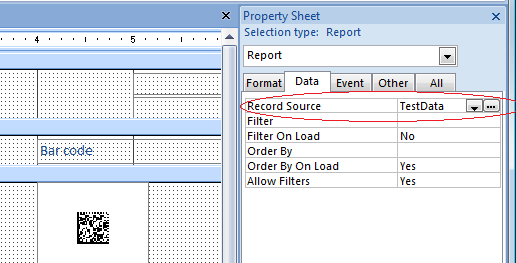 Modify the Control Source property to point to the table and field of the data you wish to encode into the barcode. The data source can be a table field, or a field of a comprehensive query result. Modify other properties, such as ModuleWidth, and SizeID. After you are satisfied with the result, close the property dialog. Save the run the report. You should see the barcodes appear in the report. You can also add DataMatrix barcodes to Access report using font-based solution. Before creating barcodes in Microsoft Access, you must import the required module. 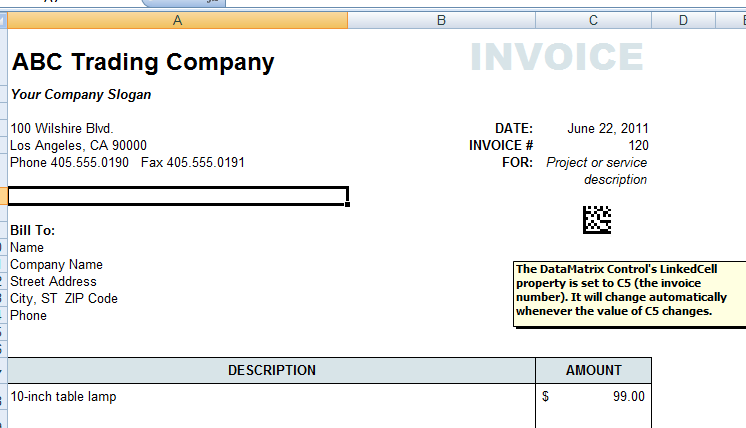 This module adds VBA function so that you can put into the report. Choose Modules → Import and select Morovia.DataMatrixFontDLL5.bas file, located in the program folder. Place the formula =DataMatrixEncode([TestData.Data],-1) in the control source property of the text box where [TestData.data] is the field that contains the data to be encoded into the DataMatrix barcode. The following parameter is the size ID desired. Go back to the design view and change the font of the text box. In our case, choose MRV DataMatrix5 and 6 points. Adjust the size of the text box to fit the whole barcode. Excel has line gap issues with DataMatrix fonts. 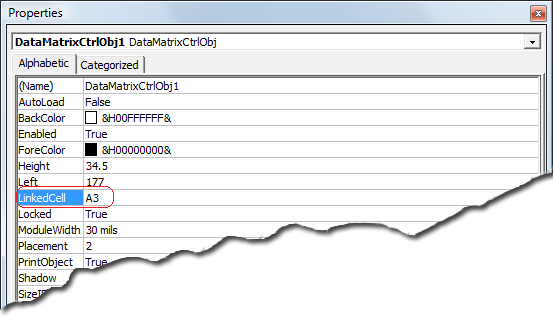 You can paste EMF image from GUI encoder, or use ActiveX control as outlined below. On Excel 2007 and 2010, first switch to developer tab, then press Insert button on the toolbar, and select More Controls button. From the list of controls presented, choose Morovia DataMatrixControl. Using Datamatrix control in Microsoft Word is similar to the one in Excel, except that Word does not provide a way for data binding. 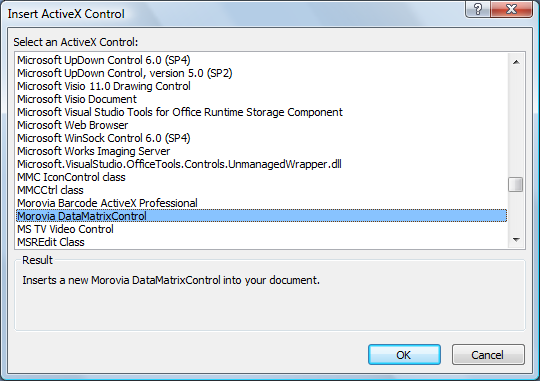 Select Morovia DataMatrixControl from the list of available ActiveX controls. After selecting it, the control will appear in the document, the control may be sized as necessary. To change the properties of the control right click on the control and choose Properties. In Visual Basic Editor, choose File → Import File. Navigate to the DataMatrix Fonts & Encoder 5 installation folder, and select the Morovia.DataMatrixFontDLL5.bas. See the DLL API for the meaning of each field. Here we set size ID to -1. Hit Enter once to move the cursor below, and click on Insert Merge Field. Select Barcode as the merge field. Now adjust the font for the address block and the barcode field. 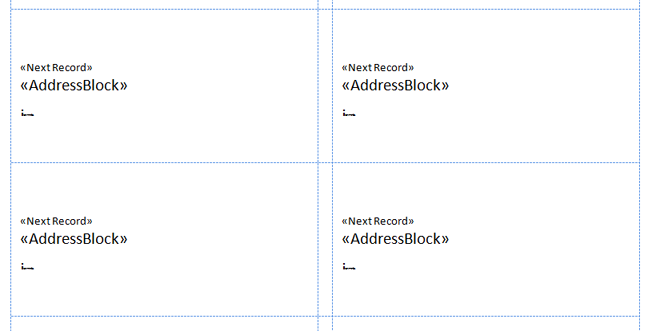 For the address block, we use Arial 16 points. For the barcode, use MRV DataMatrix5 6 points.